We offer the best deals for all group cruises! Don't know if you have a "true" group? A true group is at least 8 cabins, with 16 passengers. You may be able to CRUISE FREE! First Name: Required! Exceeded maximum number of characters. Last Name: Required! Exceeded maximum number of characters. Daytime Phone Number: Required! Exceeded maximum number of characters. Does not meet the minimum number of characters allowed. Integers are only allowed. Evening Phone: Required! Exceeded maximum number of characters. Does not meet the minimum number of characters allowed. Integers are only allowed. E-mail Address: Required! Please enter a properly formatted e-mail address. Exceeded maximum number of characters. Total (Estimated) People in Group: Required! Required! Exceeded maximum number of characters. At least 16 people required. Call us if you have less. Your Location (ex: Boston, MA): Required! Exceeded maximum number of characters. Cruise Length Desired: nights Required! Required! Exceeded maximum number of characters. Cruise must be at least 1 night. Destination: Select a destination Not Sure Alaska Asia Australia & New Zealand Bahamas Bermuda Caribbean Mediterranean Mexico Northern Europe Panama Canal South America Transatlantic Western Europe World Cruise Select a destination. Choose "Not Sure" if you're undecided. 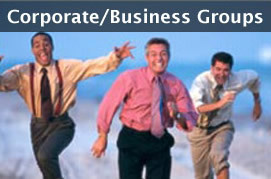 In order to qualify as a true group, all reservations in your group must be made with us over the phone. Don't qualify to be a true group? View these fantastic cruise deals! ♦ What is a cruise group? ♦ What are examples of cruise groups? ♦ How can I put a cruise group together? ♦ Does everyone in my group need to have the same room type? 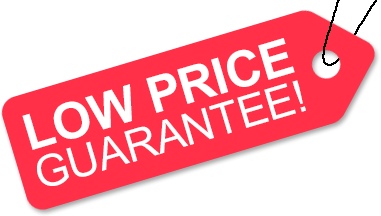 ♦ Will I get a good price if I book my group with you? 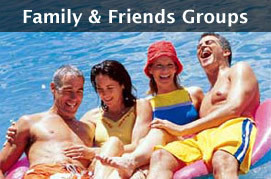 ♦ What are the advantages of group travel? ♦ How can I promote my cruise group? 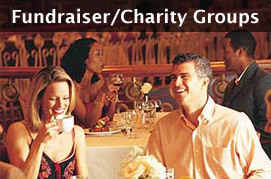 ♦ Can my group be a fundraiser for my organization? ♦ Are there programs of interest for cruise groups? ♦ Who handles all of the paperwork? Please contact us with any questions that aren't listed on this page. A group of at least 16 people (with at least 2 people staying in each stateroom) that are taking the same cruise together and would like to be grouped by the cruise line together in a number of aspects. For example, some groups would like to dine together, while other groups would like their rooms to be as close as possible to each other. Our agents are trained to assist you with many of your cruise group's needs. We will help you choose the travel plan best suited for your particular cruise group and can even provide you with a complimentary custom flyer to promote your group, once you've picked a specific sailing. Absolutely not. You can have a variety of accommodation types in your cruise group. For example, you can have interior, ocean view, balcony and suite staterooms all in the same group. The only thing that limits the types of accommodations you can have in your cruise group is the ship that you choose and the availability remaining when you book. Absolutely! You'll get the best deal possible when booking your group's cruise with us. Your group's travel agent will ensure that you get a great price. We know that pricing is always important and we specialize in securing heavily discounted cruise pricing for your group. We are a top producing cruise and travel agency with all of the major cruise lines and many land tour operators. This gives us great pricing power! Plus, depending on the size of your group and the sailing you choose, we may be able to offer you special group amenities. For instance, some of the possible amenities may include a cocktail party for your group during your cruise, or a bottle of wine or onboard credit for each stateroom in your group. There are many advantages! For example, we can work on your behalf to obtain stateroom upgrades, award travel group amenities, arrange for airfare and transfers, help with "special needs" passenger requirements, etc. Amenities may include any of the following: free cruise-only fare for the travel group leader (or more people, if the travel group is large enough), bottles of wine in your room, exclusive coupon books, on-board credits and more! • Provide you with a customized flyer, promoting your group. • You can attend a consultation at our local office, or we can meet with your cruise group at a convenient location. • If your particular ship is in port we may be able to arrange a Ship Inspection for the Travel Group Leader, since seeing the ship in person can help provide valuable first hand expertise for your group. Certainly. Several cruise lines and tour operators provide matching fund programs. Please contact us for details. We do! The necessary documents are sent directly to your cruise group's members, or to the location of your choice.